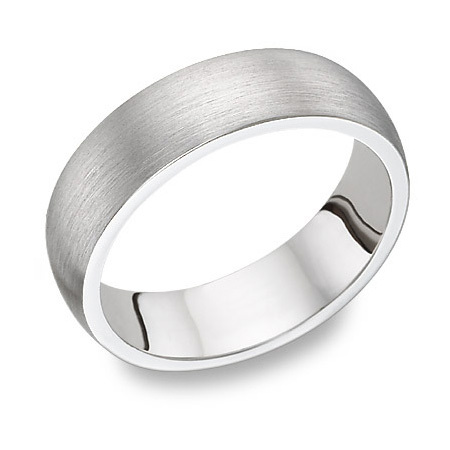 Beautifully and sleekly designed, this classic 14k white gold brushed wedding band ring is not only simple but classy. Ring measures 5mm wide and 2mm thick. Also available in 18K Gold, and other widths or platinum by request. We guarantee our 14K White Gold Brushed Wedding Band to be high quality, authentic jewelry, as described above.